FiDO-2T offers unmatched flexibility and cost efficiency for SDI-Fiber conversion, allowing for long cable runs up to 10 km (32,808 ft) with electrical isolation - useful for eliminating ground loop problems. FiDO converters use a compact, low profile enclosure that works well in tight spaces around and behind equipment racks, trucks and on camera. Configure each at the time of purchase with appropriate Multi-Mode SFP using AJA’s SFP Configurator. 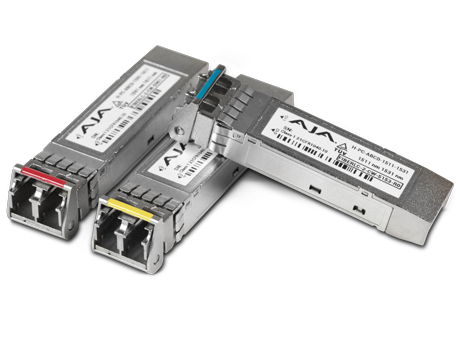 Configure each at the time of purchase with appropriate CWDM SFP using AJA’s SFP Configurator.